The Spectra RC402 Remote Control features a built-in backlit grade display and keypad for a two-way communication with your Spectra GL412 and GL422 laser level. With a working rage of up to 330 feet, the RC402 gives you the ability to make grade changes from anywhere on the job, even from the cab of the machine. 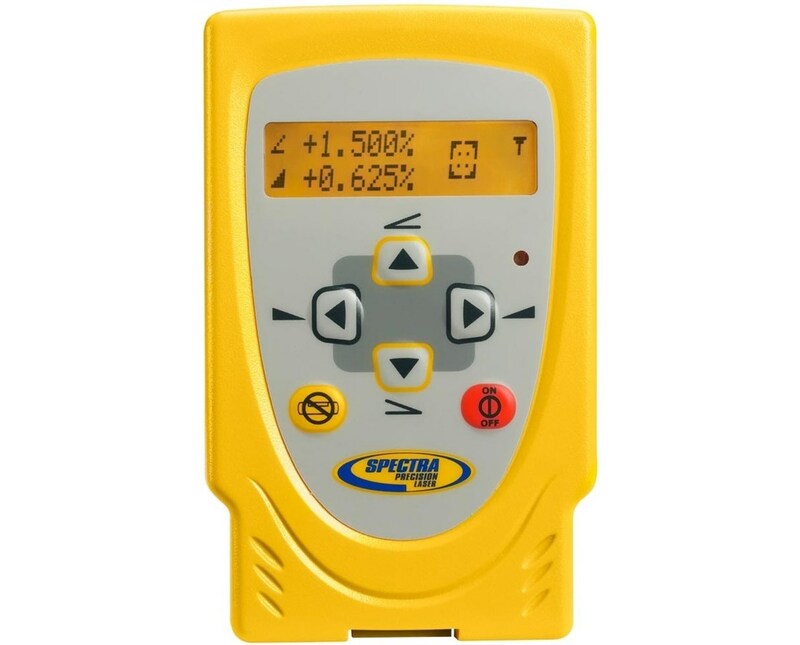 Using two AA alkaline batteries, this Spectra remote control works up to 130 hours of continuous operation and up to one year under normal use. 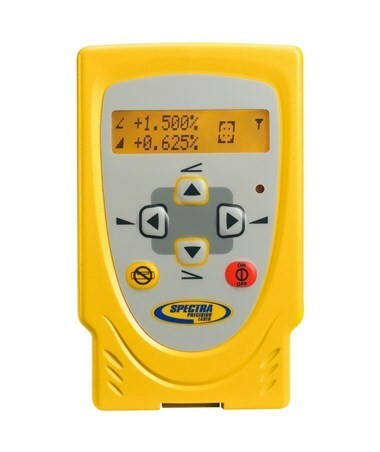 Please Note: There is a new model for this version of remote control - Spectra RC402N Remote Control.